What are the largest and heaviest invertebrates? The largest invertebrate to date is the colossal squid, or the Antarctic or Giant Cranch squid—it even has its own genus: Mesonychoteuthis (Mesonychoteuthis hamiltoni). It is estimated that the squid measures about 50 feet (15 meters) in length and lives at depths of at least 7,218 feet (2,200 meters) in the Southern Ocean. It also has what is thought to be the largest eyes in the animal world, measuring 11 inches (27 centimeters) across. 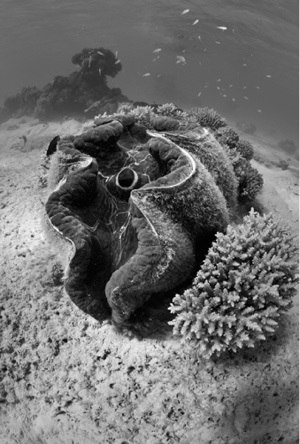 Giant clams are one of the heaviest of the invertebrates. Weighing hundreds of pounds, they are thought to live as long as a century.